MERV 15. 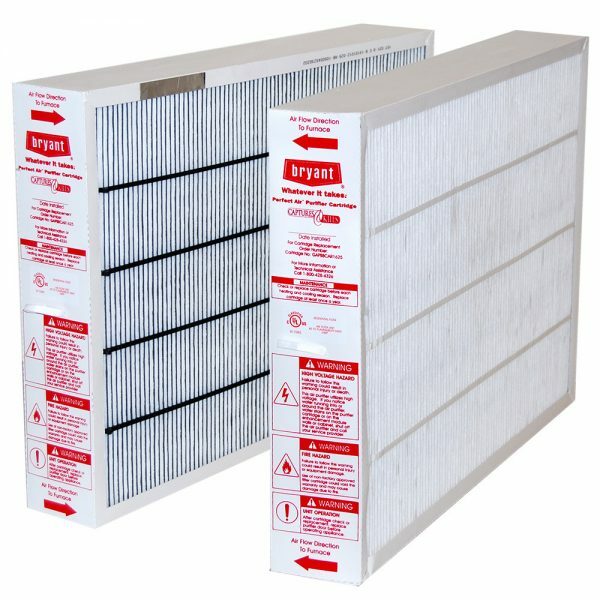 These filter products are for customers with Bryant products. 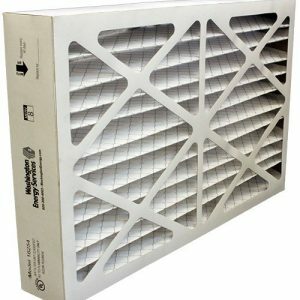 Please check the size and part number of your replacement furnace filter prior to placing your order. The most common reason a heating and air conditioning system breaks down is because of a dirty filter. As dirt accumulates, air can’t pass, or worse, the system overheats. The motor then has to work harder. In a best-case scenario, your unit will need to be repaired. Replacing the filter is an easy way to lengthen the life of your heating system. They reduce home energy bills. When that clogged air filter is working harder, more energy is being used. And when it requires more energy to make your heating and air conditioning to work, it causes your energy bill to skyrocket. When you change your air filter on time, you can save from 5 to 15 percent on your utility costs. They improve indoor air quality. Particularly important if anyone in your family suffers from allergies or asthma, dirty air filters worsen the air quality and can exacerbate symptoms. If you have pets, it’s even more important because pet dander will accumulate in the system and then spread allergens throughout the household. MERV stands for Minimum Efficiency Reporting Value. Your filters MERV Rating is a good way to help judge the effectiveness of the filter. The higher the MERV, the more effective. We stand behind everything we sell. If you are not satisfied with your Washington Energy Services online store filter purchase, you can return it for a replacement or refund within 30 days of purchase. Washington Energy does not cover used filters or damage caused by improper use or accidents. When will my filter ship? Your filter will ship within 5 business days. The most common reason for an exchange is the wrong filter size. You can return or exchange purchases by mail or at our Lynnwood retail location. You must have a proof of purchase (online store receipt or member purchase history) for all returns and exchanges. We recommend that you ship your package with a carrier that can provide tracking and insurance. Washington Energy Services is not responsible for packages lost in transit. • Ship your package with a carrier that can provide tracking and insurance. You will be refunded on the original credit card for purchases made on our online store within 30 days from the date of the refund request. This will show on your next statement, depending on the issuing bank and/or billing cycle. If after 30 days or if you are using a different purchase method other than a credit card, you will receive a check by mail. You will be mailed your refund by check within 3-4 weeks from the refund request date. If you would prefer to have the funds returned on the original credit card that was used to make the purchase, it must be requested within 30 days of the original order. This will show on your next statement, depending on the issuing bank and/or billing cycle. For returns or exchanges due to manufacturers defect, Washington Energy Services will refund the return cost of shipping. If you are returning or exchanging a product by mail due to an improper size, the customer is responsible for the return shipping expense. 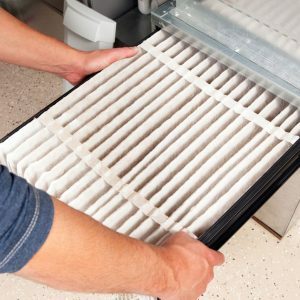 Get a new filter when you're supposed to - automatically - and save money, too. With our filter program, filters are automatically shipped to your home when it's time to change them out. No need to mark the calendar, search for a filter and go out to buy one - we'll send it to you right on time (and with free shipping!). Just one less thing to remember.